Small hive beetle (SHB – Aethina tumida), a pest of honey bee colonies, is alien to the European Union and can cause significant damage to the beehive from destruction of combs to fermentation of honey and colony loss. 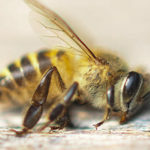 On 25 July 2016 Aethina tumida adults have been confirmed (see for details) in an unregistered apiary located in the municipality of Grimaldi in the province of Cosenza. 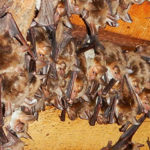 Subsequently, three other apiaries of the same unregistered beekeeper were found infested in the same municipality of Grimaldi and in the municipality of Altilia (in this case both adults and larvae were found). Infested apiaries are located about 100 km from the protection zone of Gioia Tauro established in September 2014 following the first discovery of small hive beetle. 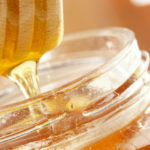 The Ministry of Health has issued instructions for the destruction of the infested apiaries, the clinical inspections of hives present in a kilometre radius, the establishment of a protection zone of 10 km radius. 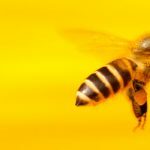 On 11 September 2014 the National reference centre for beekeeping of the Istituto Zooprofilattico Sperimentale delle Venezie confirmed the first detection of small hive bee in a bait trap in the town of Gioia Tauro, in the province of Reggio Calabria. 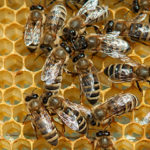 On 7 November, 2014 , the national reference centre for beekeeping reported the first case of Aethina tumida in the province of Siracusa in Sicily. Complete, more updated information on the epidemiological situation of small hive beetle in Italy, in addition to ministerial statements and further useful material on the problem, can be found below.